A short post on the Web site of Cuba's Ministry of Exterior Relations reports that a high-level US delegation went to Cuba to discuss telecommunication during January 20-22. The post gives no substantive details on the meetings, but says they discussed the effect of the trade embargo and blocking of access to US Internet sites that were key to Cuba's scientific, technical and economic development. They also talked of the scope and limitations of the new regulations adopted by the US government on Cuban telecommunication, which probably means that Chairman Wheeler clarified the implications of the recent removal of Cuba from the FCC "exclusion list" (which is now empty). That sounds like a quick summary of issues the diplomats and officials may have raised, but there was no mention of which US business leaders were in the delegation or what they may have said. 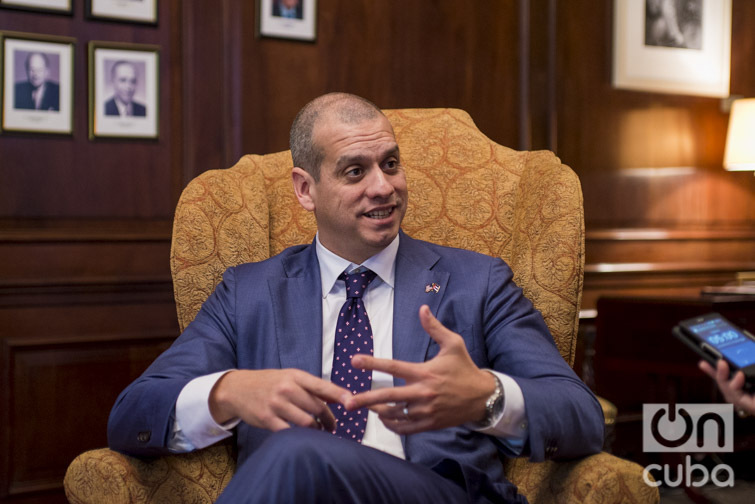 Sepulveda said there are at least a half-dozen proposals — from US and non-US companies — to construct a north-south undersea cable between the US and Cuba. An undersea cable connecting Havana and Florida would provide backup for the ALBA-1 Venezuelan cable, add capacity and reduce latency. Perhaps more important, it would reduce the load on Cuba's domestic backbone. This is something ETECSA can and should be negotiating on behalf of the Cuba people, even if it requires government subsidy to attract capital, and they have requested specific, written proposals. Sepulveda also pointed out that such a cable would establish both a psychological and physical connection between the two countries -- a sign of healing. The ball is now in Cuba's court. In the past, the embargo limited, but did not stop the Cuban Internet. Mexico's Grupo Domos and the Italian phone company STET were investors in ETECSA, US equipment was available through third parties and China has provided the undersea cable and much domestic infrastructure. Sepulveda pointed out that there are no longer restrictions on US telecom company dealings with ETECSA or other Cuban organizations. (private programmers can also work for US companies). Sepulveda feels a sense of urgency -- neither he nor President Obama will be in the government next year, and, while he does not believe it will be possible for the next administration to reverse the advances that have been made, it will be possible to delay implementation and stop further progress. There is an issue of trust in both directions -- trust that the US and the Internet will not undermine the Cuban government and trust that the Cuban government will be open to foreign investment and will not constrain investors with overly burdensome regulation. US companies need positive signs from Cuba if they are going to invest. The US delegation included Dean Garfield, president of the Information Technology Industry Council, and representatives from Cisco Systems, Comcast, the North American division of Ericsson, a Swedish communications company, and other government and industry officials. Google, which has expressed considerable interest in Cuba, was conspicuously absent -- perhaps due to the lack of trust Sepulveda referred to. Finally, the delegation met with independent bloggers -- I wonder which ones and what was said. I mentioned above that the US delegation met with several Cuban bloggers and entrepreneurs, and I wondered who they had met with and what was said. Two of the bloggers they met with were Norges Rodríguez and Taylor Torres and Norges has summarized the meeting in a blog post. After summarizing the meeting, he inlcuded the full text of the interview of Sepulveda, which I highlighted above, and he promises to post more on their wide-ranging meeting. I do not know which other bloggers and entrepreneurs the delegation met with, but the inclusion of Taylor and Norges is interesting because one blogs on art and culture, the other on telecommunication technology and policy. 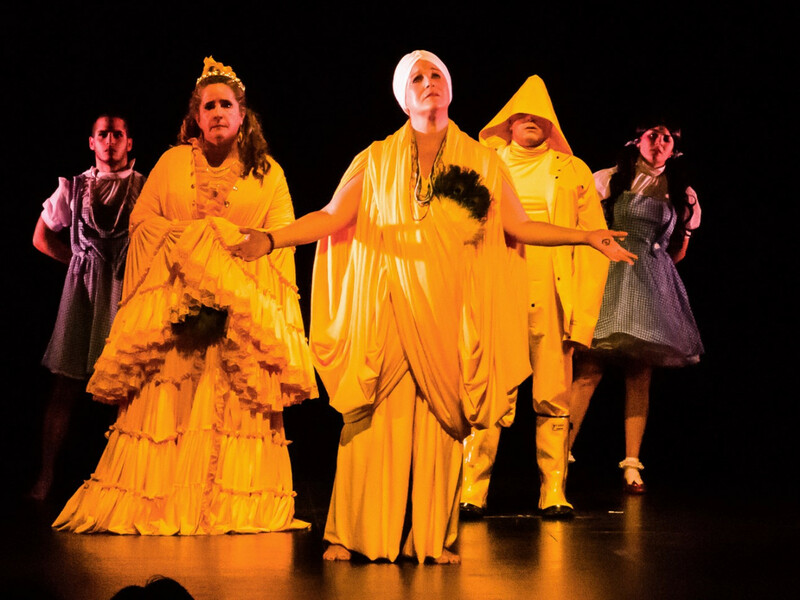 We tend to focus on topics like infrastructure, access to information, social networking, etc., but the Cuban creative community has the potential to become a rich source of Spanish language entertainment and art content. (Netflix came to Cuba less than two months after the December 17 opening of relations -- I suspect in search of potential content as well as subscribers). It is also encouraging that high-level US officials and business people are meeting with bloggers and entrepreneurs as well as government officials and ETECSA executives. Perhaps we will see a uniquely Cuban approach to the Internet. 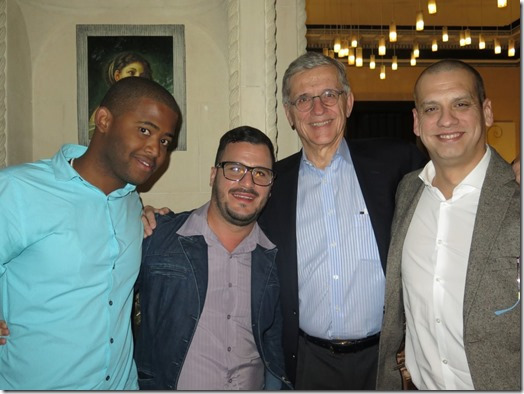 FCC Chairman Thomas Wheeler has written a blog post on the trip to Cuba. I don't think he adds much of substance, but it is good to see Cuba on his mind and concludes that he came away from the trip with "a newfound understanding of both the opportunities and challenges facing Cuba in terms of communications technology and access." Perhaps the most interesting aspect of his participation in the trip was that he met with students and bloggers as well as government officials and executives of state enterprises. Here he is shown with the Cuban bloggers shown above.